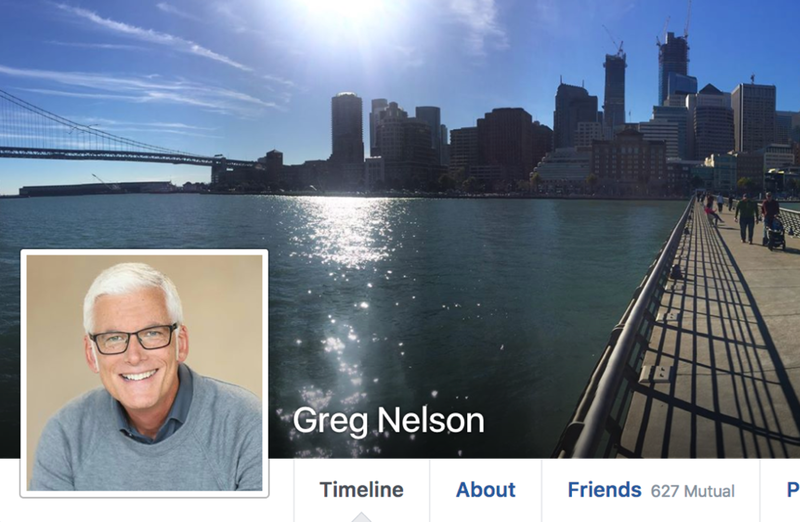 Greg Nelson is a professional speaker, coach, and author of The Strategic Stop – a guide to creating purposeful pauses for reflection and connection in our “always-on” society. He is recognized as an expert on team and leadership culture transformation with an earned doctorate in personal and organizational effectiveness. He has worked with high-profile companies and nonprofits such as Bill and Melinda Gates Foundation, Fitbit, Amazon, Walmart, Lyft, and American Express. He also consults with church organizations that are striving to stay relevant. He has delivered thousands of talks in his career as a pastor and then as a full-time corporate keynote speaker and coach, to both small audiences and those in the thousands. I learned how to sail while growing up in Japan. And it's been one of my great passions every since. I was born to missionary parents in Japan, where I spent the first 17 years of my life. My best friends were Japanese. They played in my house and I played in theirs. We goofed around in the rice paddies, catching snakes and frogs. I spent my childhood learning the value of building bridges between the familiar and unfamiliar, between myself and those who were different from me – and I loved it. I carried the values of collaboration, multicultural communication, and radical hospitality with me as I began my career as a pastor. In leading congregations, I was involved in guiding, empowering, and supporting a wide spectrum of humanity. Throughout my thirty years as a pastor, I saw how important it is to develop a culture of compassion and empathy in which every person matters. My work strived toward and inspired a common vision that invited everyone from all walks of life to get involved and engaged. When I transitioned away from pastoring in 2002, choosing to establish a full-time business of speaking, training, and coaching, it was clear what context I wanted to work in – personal and organizational culture. Translating my experience of empowering church leaders to maximizing leaders and teams in companies was a natural fit. My work builds more collaborative environments that honor every person’s differences and strengths, in ways that radically increase engagement and performance. I always take a stand for the most significant resource of every organization: its people. In this way, I’m an advocate for people-centric organizations, where the leadership empowers and resources its people so they can enrich the lives of others through powerful teamwork and mission-driven results. This is the success formula that increases every significant metric in an organization. And I love being a dynamic spokesperson for this transformational human process.